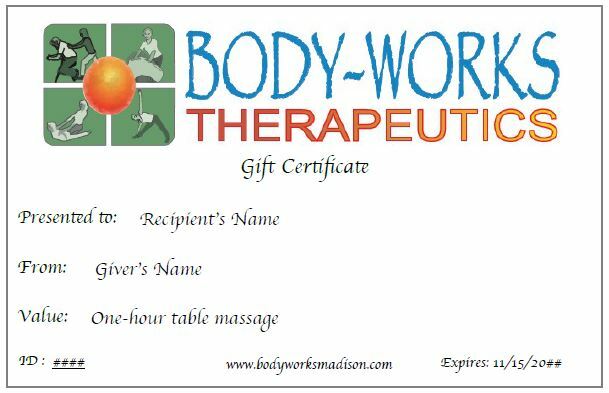 A gift certificate for massage or yoga is the perfect way to share the gift of health! Use the form below to purchase a gift certificate. We will include the names you provide in the boxes below on the gift certificate in the “Name of recipient:” and “Name of giver:” fields (see image at the top of this page). Prices include a 3% service charge. We will email a .pdf image of your gift certificate to you. If you would like the certificate emailed to a different address, send us the information or other special instructions using the Contact form.